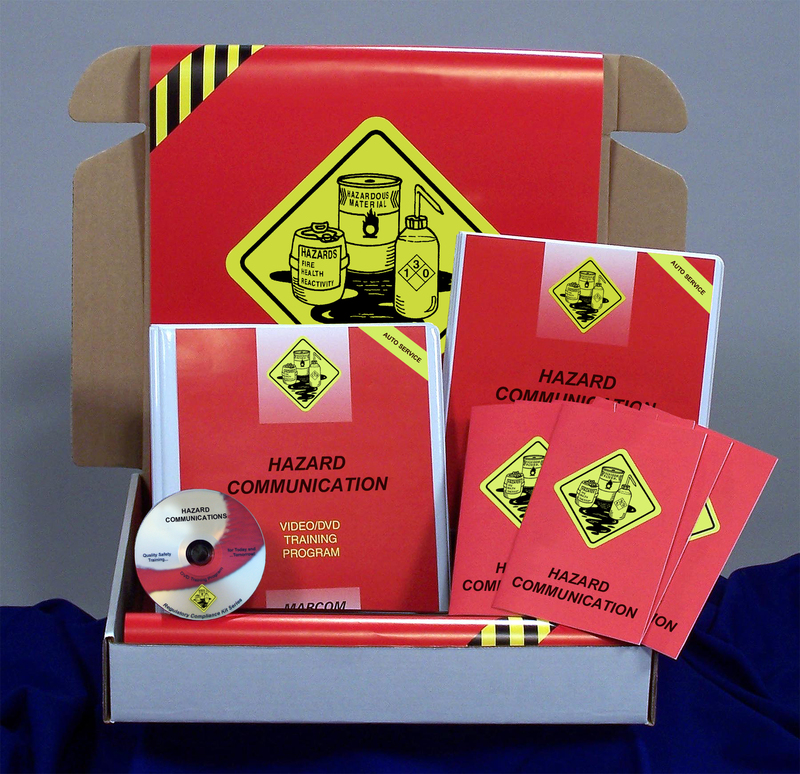 MARCOM's Hazard Communication in Auto Services Facilities Regulatory Compliance DVD Kit has been created to introduce employees to Hazard Communication regulations and provide training on the various types of chemicals found in automotive environments. This course also addresses the major education and training requirements in these chemical hazard laws. Materials in the kit include a DVD program, a compliance manual, five motivational posters, and 30 employee booklets. The DVD program in the kit both introduces employees to the Hazard Communication regulation and provides training on the various types of chemicals found in auto service environments. A compliance manual containing a fill-in-the-blank Written Hazard Communication Program is also included. The posters in the kit emphasize the importance of knowing about the chemicals employees encounter. The DVD program and employee booklets include information on GHS Safety Data Sheets and container labels, toxins corrosives and irritants, flammables combustibles and gases, carcinogens and radiation, exposure situations, PPE and chemical storage, and more. The DVD program in the kit comes with a comprehensive leader's guide, reproducible scheduling & attendance form, employee quiz, training certificate and training log.